There are many reasons why St. Thomas is such a fantastic community to live in. 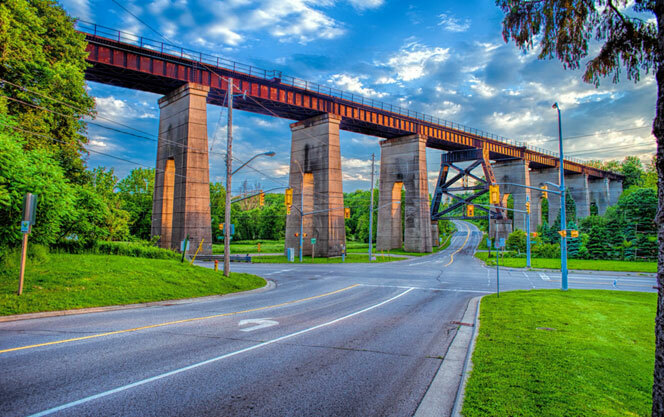 Known as the “Railway Capital of Canada”, it was founded in 1881 and is currently home to over 40,000 residents. It is constantly growing and evolving, which means there are countless exciting activities to do and fabulous sights to see. St. Thomas also has plenty of charm and a cozy feel - you don’t have to travel that far from your own front door to find something new to try. Whatever your particular interests are, St. Thomas has a lot to offer – entertainment, sports, arts, shopping, sightseeing, hiking, culture, food – the list goes on and on. The following list is a great summary of some of the best landmarks or events that St. Thomas has to offer. It outlines a wide range of different attractions and should have something for everyone to enjoy. This guide should help plan your next night out, organize a day trip with a friend, or just spend quality time with the people you love in a great atmosphere. With our help, you can find the perfect activity for your personal preferences and lifestyle – and get the most out of life in a vibrant and fun city. 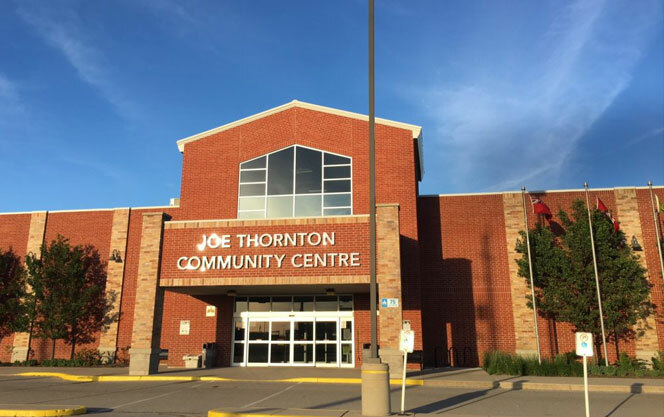 Named after longtime NHL all-star and Olympic Gold Medalist Joe “Jumbo” Thornton, this community centre is one of the biggest attractions in St. Thomas. here is a multi-purpose gymnasium for basketball, volleyball, and other court sports with plenty of bleach seating for spectators. There is also an indoor walking/running track and special event rooms that can be booked for groups of 150-400 people. Without a doubt, the Douglas J. Tarry Sports Complex is one of the finest baseball tournament facilities in all of Ontario. 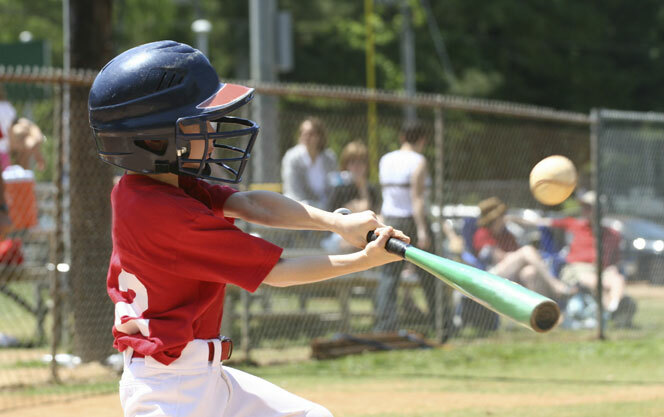 With five full-size baseball diamonds - each with professional lighting for night games - residents and guests alike can enjoy countless innings of fun in a comfortable, modern environment. There is also a playground, fieldhouse, fabulous food services, and a spacious park/picnic area. 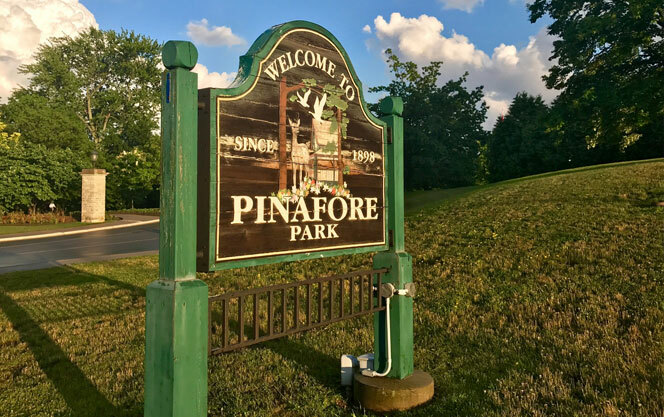 Always a huge hit with St. Thomas residents, Pinafore Park features 90 sprawling acres of jaw-dropping natural beauty. Located just minutes away from the heart of the city, it provides easy access to everything that a nature-lover could want: spacious gardens, walking trails, a bird aviary, a wildlife sanctuary, and a picnic area. It also has plenty to offer families as well, since the park also has a playground, several concessions, a bandshell, and even a splash park. It’s truly a diverse park that accommodates the various tastes/needs of both longtime residents and tourists. Open 12 months a year, the park also has baseball facilities (Emslie Field) that are open during the summer months and several cross-country skiing trails that open once the snow flies. Several rental pavilions are also available for weddings, reunions, and other large-scale events. 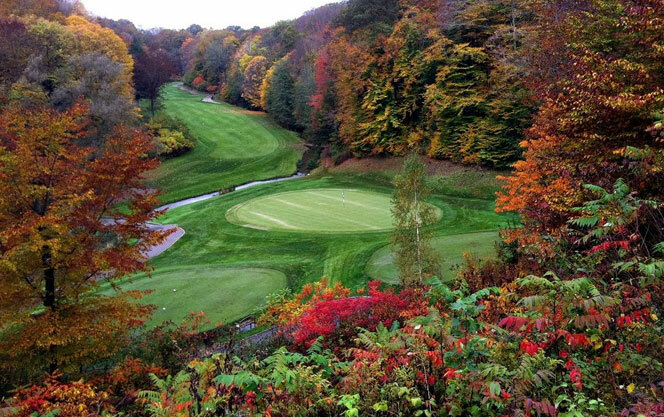 St. Thomas is home to many fantastic 18 hole golf courses that each offer a unique playing experience. 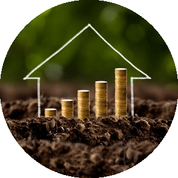 There are also a wide array of public and private options available depending on what particular course best suits your specific needs and budget. Some excellent private courses include the St. Thomas Golf & Country Club, which offers a world-class playing AND social experience, Redtail Golf Club, and Kettle Creek Golf & Country Club. The public courses are fantastic as well, especially Iron Creek Country Club, The Bluffs Golf Club, and Belmont Golf Club. 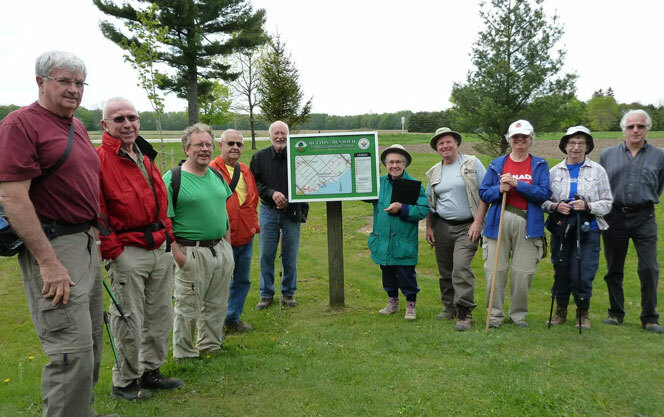 St. Thomas and the rest of Elgin County is also home to a large stretch of the world’s largest recreational trail. Exploring the TransCanada Hiking Trail is a great way to spend time enjoying the outdoors, whether it’s for an afternoon or several weeks. A map and extremely useful guide to the section of the trail that runs through St. Thomas is available at various locations around the community. There is also a pavilion that offers route planning and other services in Jonas Street Park. St. Thomas has a wonderful YMCA complex that has received numerous upgrades over the past decade or so. It features a full-service community recreation and fitness centre that includes a junior Olympic Indoor Pool and an impressive therapy pool. The fitness area also received a huge influx of new equipment and better training areas as part of the $2 million series of renovations that took place in 2010. It also has a recently upgraded childcare centre (newborn-9 years) that is included in membership dues. 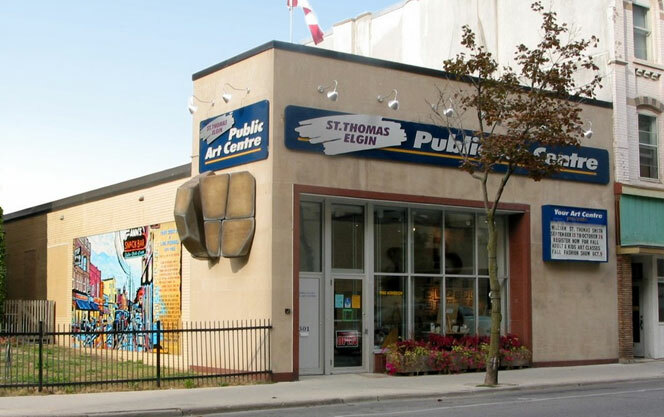 One of the highest ranked St. Thomas attractions according to Google, the St. Thomas Elgin Public Art Centre (STEPAC) features a wonderful blend of art and local culture. The Centre contains various exhibitions, showcases, and runs educational tours daily. It gives local artists a place to showcase their work and for members of the general public to take a wide variety of various art classes and workshops - including painting, drawing, and history. 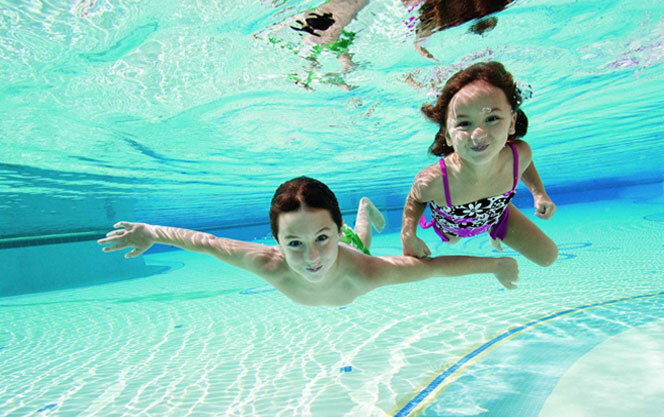 STEPAC also offers a wide variety of summer camps that kids love. With a rotating schedule and plenty of new works being displayed year round, it is also a place that can be enjoyed again and again. One of the most recognizable landmarks in all of St. Thomas, the memorial for Jumbo The Elephant is always heavily trafficked. 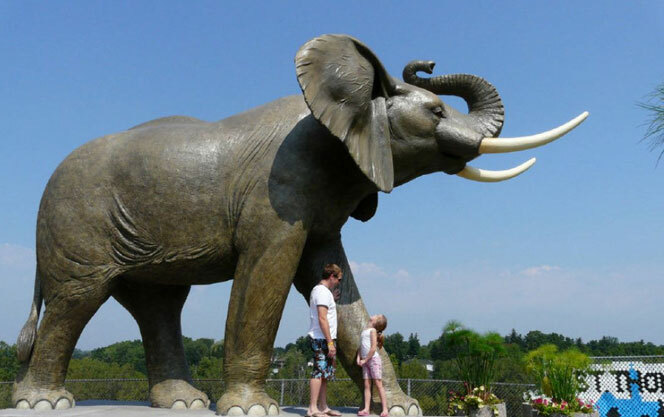 The memorial features a lifesize replica of Jumbo, “King Of The Elephants”, a circus elephant who was tragically struck and killed by a locomotive in 1885. Jumbo was the star attraction of P.T. Barnum’s “Greatest Show On Earth”, the world’s biggest circus at that time. Jumbo was beloved around the world and always drew huge crowds whenever the circus came to town. His tragic story has long been a part of the identity of the St. Thomas area, and many local companies pay homage to Jumbo in a variety of different ways. The city commissioned and unveiled the monument in 1985, 100 years to the day that Jumbo was hit by the train. The statue of Jumbo weighs over 38 tons and was designed and constructed by artist Winston Bronnum. Tour Railway City Brewing Co.
Railway City Brewing Co. is one of the top attractions on both Google and TripAdvisor. 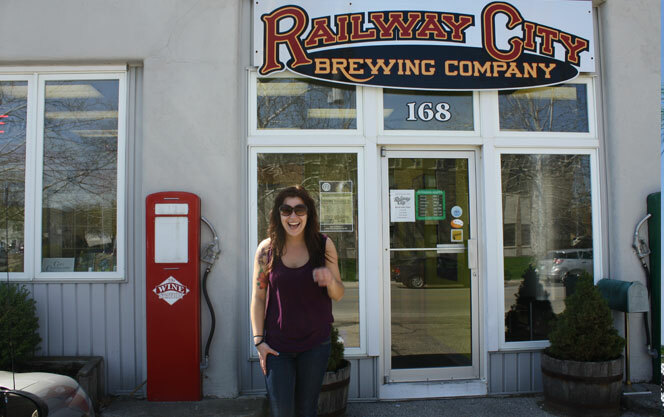 A local craft brewery, Railway City Brewing Co. is open seven days a week and runs fun, informative tours of their facilities that feature samples and insights into the brewing process for a wide variety of different beers. One of the unique things about this particular brewery is their immense sense of pride in being a company that was founded and operates in St. Thomas - many of their beers and labels feature names or visual tributes to the Railway, Jumbo the Elephant, and other pieces of local history. 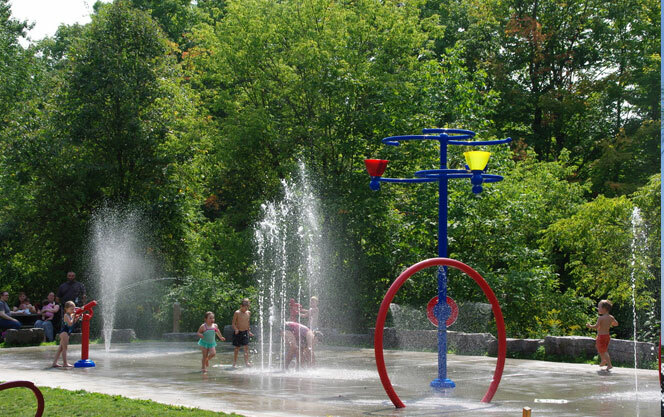 Established in the early 1900’s, Waterworks Park was the first publicly owned park in the greater St. Thomas area. The area has a wonderful mixture of vibrant plants and flowers along with several family-friendly attractions like a splash park, playground, picnic area, and walking/skiing trails. Open year-round, Waterworks Park is also home to many unique bird species such as the Kingfisher, Blue Heron, Osprey, Red-Tailed Hawk, and American Kestrel. Many unique water species are viewable as well (turtles, goldfish, and frogs - just to name a few) thanks to a series of well-designed bridges and walkways. St. Thomas is also home to a wide variety of spectacular annual events. Although the dates often fluctuate from year to year, mainstays in the local community include the Arts Crawl, Canada Day Fireworks, Light The Night, Great Lakes International Airshow, Iron Horse Festival, Santa Claus Parade, and much, much more. While it’s impossible to completely break down all of the fantastic events and activities that St.Thomas has to offer, this guide is certainly a good starting point to work from. There is certainly no shortage of unique experiences to have in St. Thomas. 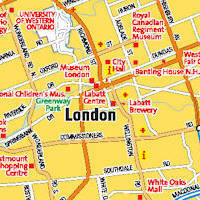 The city certainly has a wonderful mixture of many attractions, events, natural areas, and entertainment options. Team Forster lives and works in the great St. Thomas area and knows each neighbourhood extremely well. In a competitive market in an extremely popular city, you need a seasoned negotiator and highly attentive real estate agent by your side. 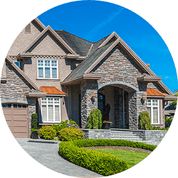 Do you think St. Thomas, Ontario could have the home of your dreams? Contact Team Forster today to book house viewings and to receive more information about this incredible city.